About them: One of Australasia's largest banks, with a friendly tone and award-winning digital products. My longest-standing client. Work completed: Website copy, tone of voice, UX/wireframing/user journeys, campaign copy, eDM campaigns, brochures, letters and more. I audited the Home Loans section, sitemapped a new one, refreshed the copy and also researched and created a new subsection: the Property Investment hub. The result? Winner of the Writemark Plain English Awards – People's Choice. I've taken care of wireframing, creating user journeys and sitemapping for various Westpac projects, including during a credit card launch and while restructuring sections of the website. Often it makes sense for me to do this particular task as I work out the content structure and copy. I've been Westpac's tone of voice go-to gal since I helped them create a whole new website with a team of writers back in 2011 (NZ's largest-ever website at the time). I tidy up web pages where tone has gone astray, and have helped develop practical tone of voice guides for staff too. This image comes from a previous Westpac TVC that we thought had great T.O.V. 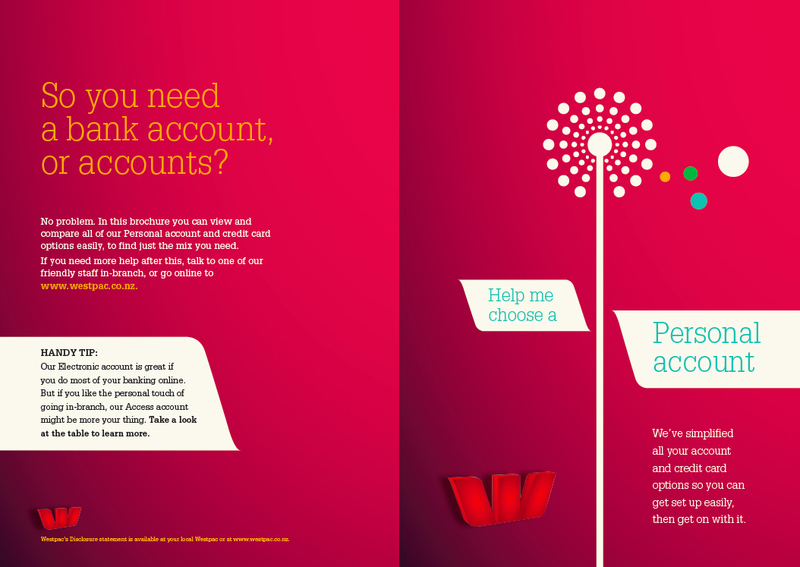 I reviewed Westpac's 60+ brochure suite, applying content audit principles. After a cull and restructure, I rewrote key brochures using web principles to make them a better user experience. I relocated to the Westpac offices for a few months to help them launch a secret new product.. I wrote new web pages, eDMs, letters, portal copy and any element the digital, marketing or product teams needed help with. Copy for portals, online forms and tools needs to be simple and informative. I've helped to bring a number of Westpac tools to life from HomeClub to Wes the chat bot.